What the world needs is love, sweet love! 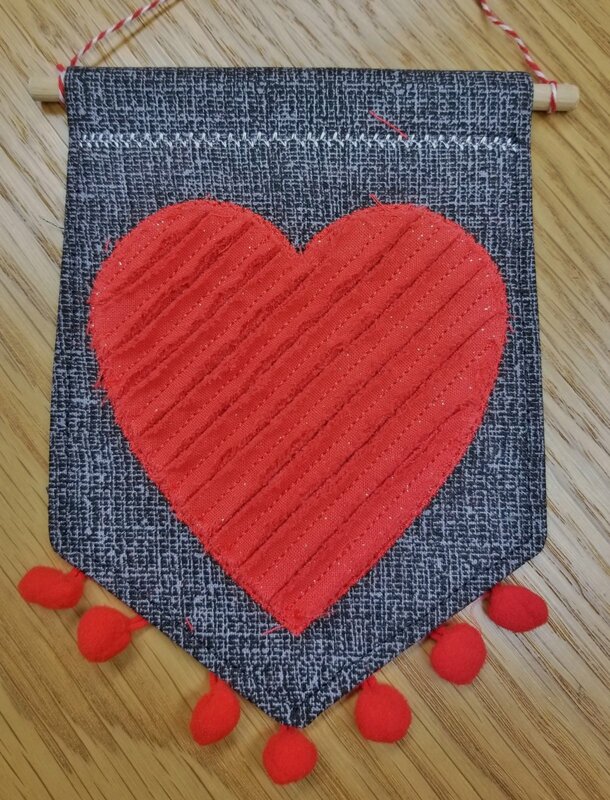 This applique heart features two variations for the chenille stitches on two pennant sizes. make a single pennant or a banner of coordinating colors! Click for class sign-up form.